We’ve been helping people bring their ideas for new products to market for nearly 20 years. We love teaching inventors how to profit from their ingenuity through licensing, including how to find companies that will want to license their ideas, how to protect their ownership of said ideas, and how to negotiate the best licensing deals possible. When you become our member, we coach you every step of the way. We partnered together in 1999 to create a one-on-one coaching program based on the simple 10-step method invented by Stephen Key. We’re all about education, because our goal is to empower our members to continue licensing their invention ideas for years to come after they graduate from working with us. We are not middlemen, nor an invention submission company. The royalties you earn will always stay 100 percent your own. Becoming an entrepreneur is about taking control of your destiny. We are here to support you over every roadblock and provide you with the insight you need at exactly the right time. Words frequently used described to our one-of-a-kind bootcamp: Life-changing, empowering, and priceless. The dozens of concepts he has brought to market have retailed in Walmart, 7-Eleven, and Disney stores and parks worldwide and been endorsed by Michael Jordan, Alex Trebek, and Taylor Swift. In 1999, he cofounded inventRight to teach others his unique process for harnessing the power of open innovation. Since then, he has helped people from more than 40 countries license their ideas for new products. His bestselling book about licensing inventions, One Simple Idea, has been translated into six languages. He writes about bringing products to market weekly for websites including Forbes, Inc., Entrepreneur, and the design website Core77. Universities and governmental organizations around the world invite him to teach them about product licensing. In 2017, he cofounded Inventor Groups of America, a non-profit dedicated to supporting the efforts of inventors associations across the United States. Andrew Krauss is an expert on licensing products ideas for passive income. He has been helping creative people bring their concepts to market with less risk and more success for nearly 20 years as a cofounder of inventRight, the one-on-one coaching program. During his tenure as president, he grew the Bay Area Inventors’ Alliance group into one of the most active and well-established associations in the country. In addition to advising the White House on innovation, he has been featured as a speaker at USPTO conferences and on NPR’s Science Friday. He attends trade shows throughout the year to stay up to date on the latest trends in open innovation. In 2017, he cofounded Inventors Group of America, a non-profit dedicated to supporting the efforts of inventors associations around the United States. 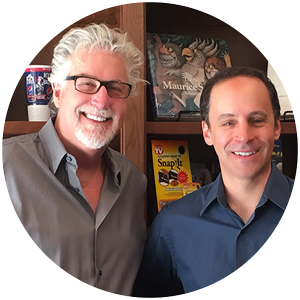 In 2017, Stephen and Andrew cofounded IGA, the Inventors Group of America, to better support and unify the industry. 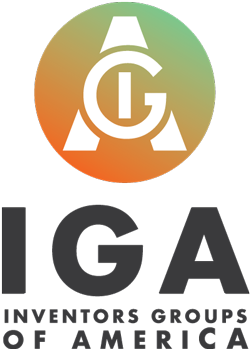 The IGA’s mission is to empower individuals trying to commercialize their product ideas by strengthening and supporting inventor groups throughout the nation.